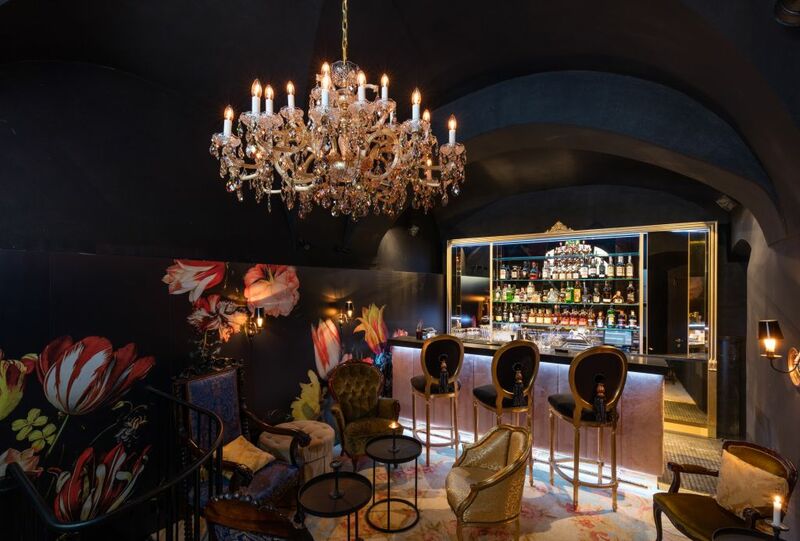 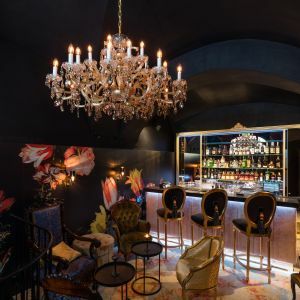 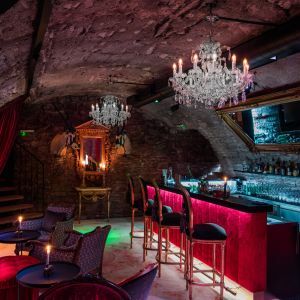 With a nod to French elegance and decadence, LeValmont is a delightful dance club and cocktail bar concealed in a brick-lined underground space. 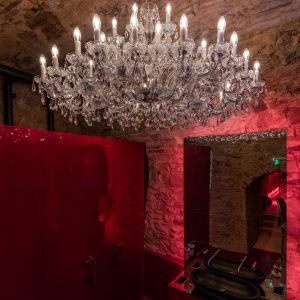 Five Maria Theresa chandeliers add to LeValmont’s romantic intimacy. 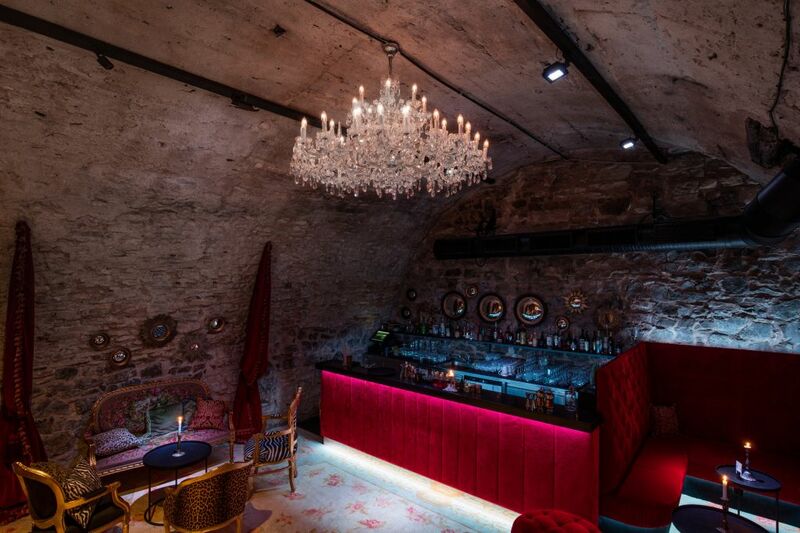 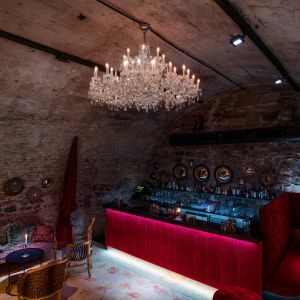 The venue’s stylish interiors are inspired by the traditional cellar space’s stone walls and vaulted ceilings. 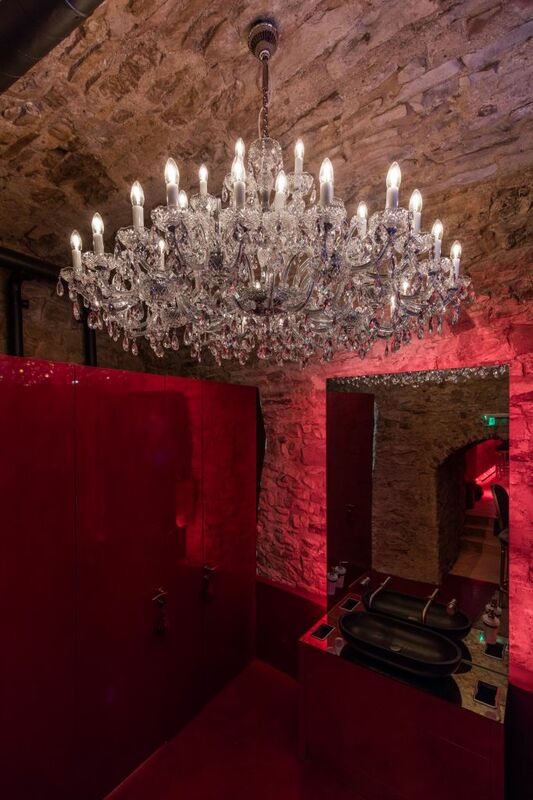 Plush red velvet touches and French inspired furnishings sparkle beautifully beneath Maria Theresa’s glittering crystal trimmings. 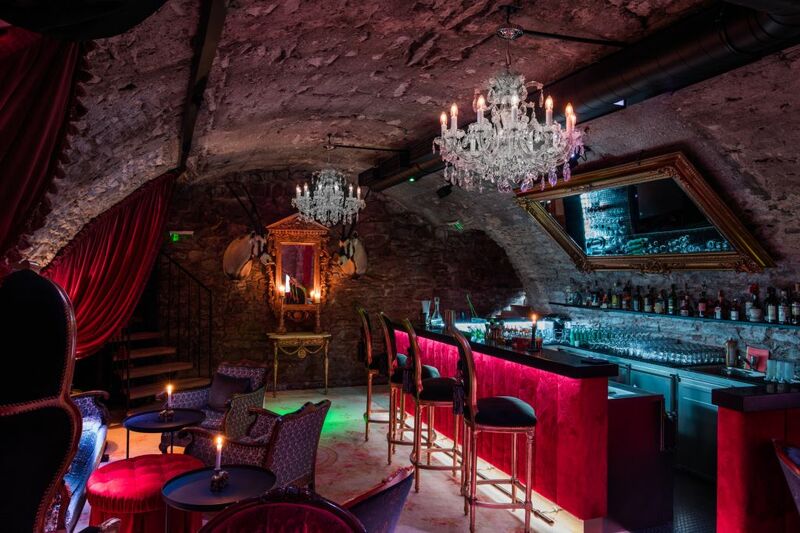 LeValmont won Best New Venue and Best Club in the 2016 Czech Bar Awards.